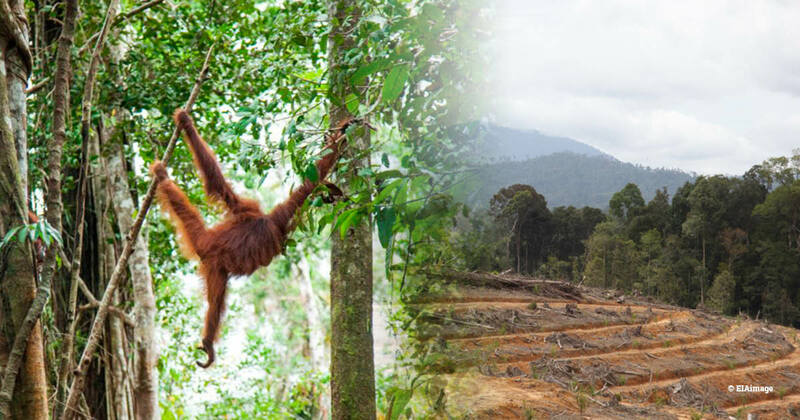 Home / Forests / RSPO adopts higher palm oil standard, but will there be any buyers? The Roundtable on Sustainable Palm Oil (RSPO) has adopted a new higher standard for palm oil production. But to date the RSPO has failed to ensure adequate compliance with its standard, and only half of RSPO-certified palm oil has been sold. This week has seen a fundamental change for the RSPO as it adopts a new standard for palm oil – its Principles and Criteria (P&C). There is general consensus that that this is a positive step, as provisions to halt deforestation, prohibit planting on peat and better protection of workers’ and communities’ rights are contained within the new P&C. Albeit that the standard is not perfect, and some issues remain as highlighted by us like the application of no deforestation to high forest cover landscapes, it represents a considerable improvement. But numerous challenges remain for the RSPO. Firstly, and foremost, ensuring that the RSPO’s P&C standard is actually going to be compiled with. Certification audits have been woefully deficient to date. They have consistently failed to pick up non-compliance with the RSPO standard. And this is the whole point of them. Without audits assuring that the standard is adhered to, it does not matter what the RSPO’s standard is. We brought this to prominent attention in 2015 in our ‘Who Watches the Watchmen’ report. Despite an adopted resolution for action on improving the RSPO’s assurance systems in 2015 there has been little progress by the RSPO to rectify the multiple failings. Less than half of the tasks identified as part of the Assurance Task Force have been completed three years later. There have been no fundamental reforms to ensure reliable audits and assessments. For example, it has been proposed that auditors should not be hired directly by the companies they are auditing. Only this month, the RSPO confirmed that there have been 23 non-compliances in relation to worker and labour rights, including unpaid labour, child labour, and discrimination, at certified oil palm estates owned by the palm oil giant Indofood. All these issues seem to have somehow slipped through audits. The non-compliances are serious. Ten of them involve the company breaking Indonesian law, not just the RSPO’s P&C standard. Such ongoing cases, do not provide any reassurance that the RSPO’s systems are working. The new standard only applies to palm oil growers –178 RSPO members. Only 50% of the RSPO-certified palm oil produced by those RSPO grower members is bought. That represents 4.5 million tonnes of palm oil that are produced to the RSPO P&C standard at a higher cost to the grower, but do not achieve a price premium in the market place, and instead are sold as the same price as non-RSPO certified palm oil. The remaining 3,800+ RSPO members do not grow palm oil – instead the majority of them buy it, whether they are traders, refiners, manufacturers, retailers or otherwise. Only RSPO members can buy RSPO-certified palm oil. Though RSPO members are meant to be working towards using 100% RSPO certified palm oil, in reality companies may buy little or no certified palm oil. There is no requirement for RSPO members to buy any RSPO certified palm oil. Additionally, there are just 72 major retailers who are RSPO members and arguably represent the end market for it, and the vast majority of these are headquartered in Europe. Already 69% of palm oil imported into the EU for food is certified. Without it being assured that the palm oil grown is being produced to the said P&C standard, even if it the new standard now includes ‘no deforestation’ more comprehensively, the RSPO will struggle to convince its own members to buy more certified palm oil, and also attract new RSPO members to buy it. Now the new P&C standard is finalised the RSPO needs to turn its attention firmly to rectifying its assurance systems. If it does not, the new standard will fail to live up to expectations.